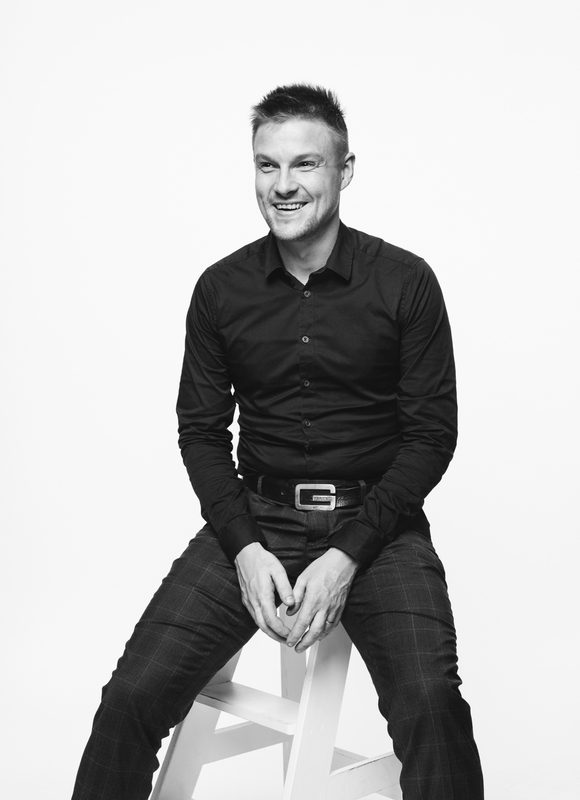 Niels is a passionate advocate for a “new breed“ of leadership and profound change in organizations. 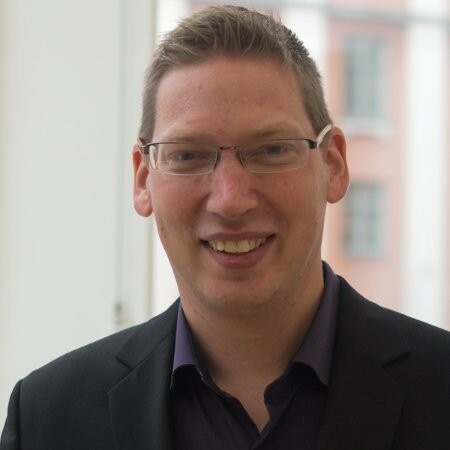 He is founder of the BetaCodex Network, and co-founder of Red42, based in Wiesbaden/Germany. 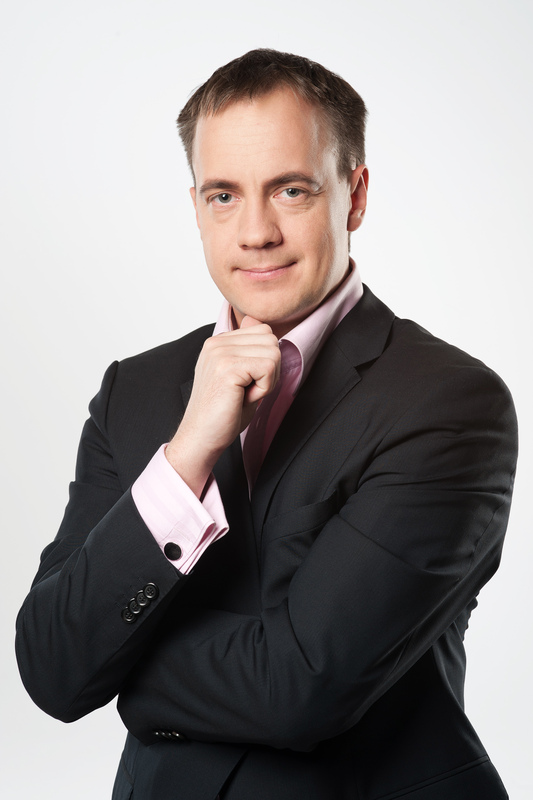 Prior to the BetaCodex Network, Niels was for five years a director with the prestigious Beyond Budgeting Round Table. Niels´ second book, Leading with flexible Targets was awarded the Financial Times Germany Best Business Book award, in 2006. Both this book and his latest titles, such as Organize for Complexity and Complexitools, were lauded by critics and readers alike and became bestsellers. His latest book is the OpenSpace Beta handbook – an introduction to an entirely new way of bringing about organizational change. 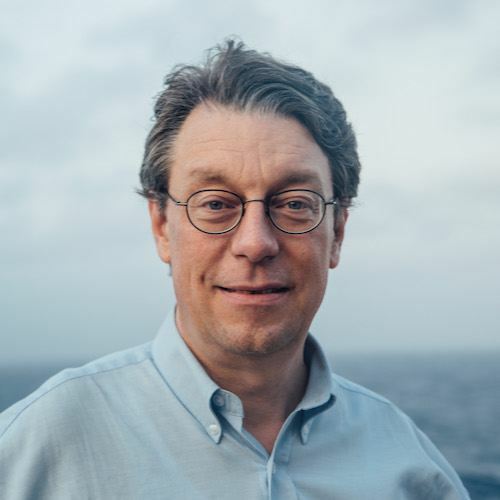 As a consultant, Niels has been strongly involved in transformational change projects for organizations both in Europe and the Americas, since 2006. Expect to be surprised, inspired, and invited to reflect both practice and theory of agile, performance systems, organizational design, and change. Find out more information about Niels and his work on his website. For articles, visit Niels´ LinkedIn Pulse page. Read his hit white paper “Organize for Complexity” here. How to circumnavigate burocratization and avoid the centralization trap. 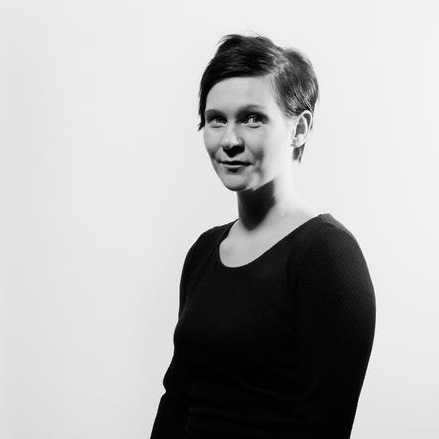 Sonja is a pioneer, digital tinkerer and award-winning game industry activist. She specializes in innovation networks and data informed product development. 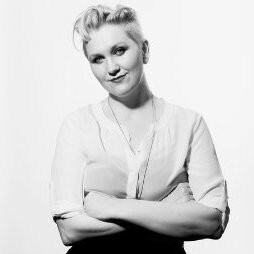 She works as Product Lead at social game developer, Zynga; is in the steering group of National Artificial Intelligence Program deliberating on the future of AI in Finland, and works as the Chairman of the Board of Neogames ry, keeping Finland’s role central when shaping the future of global game industry. Sonja started her career building collaborative filtering models for personalized recommendations, spatial and haptic games and service prototypes for mobile television. 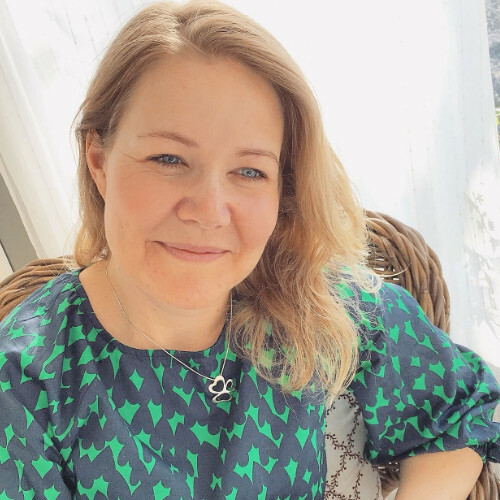 She has written several pioneering books about digital media cultures and games, and has been one of the key influencers behind Finnish game industry networks for the past 15 years. 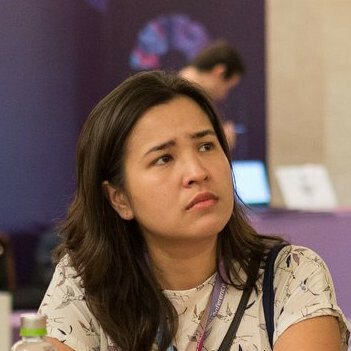 Before joining Zynga, she was Product Director at Unity, building new innovative B2C service, advisor for mobile game studio Small Giant Games and board member of Seppo.io educational game platform. She likes digital tinkering and as one of her hobby projects, is building tools to enable other digital product builders to become more data savvy and experiment driven. How to move faster from ideation to validation and production. You might agree that taking personal responsibility is the first principle of success, but until now, experts could not tell you how to take responsibility – only that you should be responsible. That’s not enough and not very helpful. 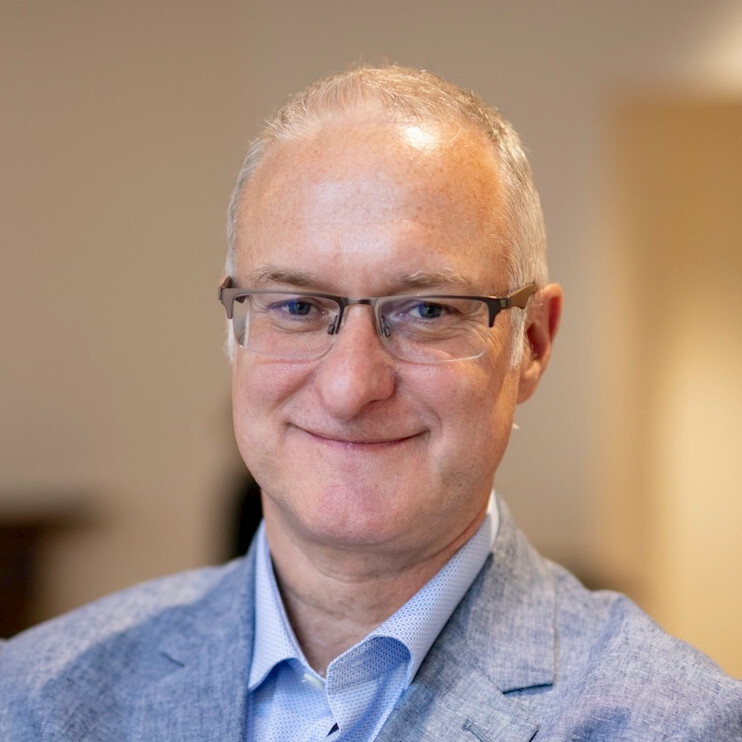 Christopher Avery has studied responsibility within organizations – what it is, what it isn’t, and how high performing individuals, teams, and business cultures leverage responsibility to create impact. The output of his research, his work, and his passion is the first how-to approach for taking and teaching personal responsibility, something that he has shared with audiences all around the world. Christopher appreciates, and shares with audience, that how we choose to experience responsibility is a moment-to-moment personal choice and not about title, tenure, or position. These rich discoveries are changing how people live more fulfilling lives, how leaders lead, how teams get built, and how coaches and parents teach and inspire personal responsibility. Christopher uses the real-life experiences of his audience to highlight the importance of personal responsibility and to provide practical suggestions and ideas that listeners can put into immediate use, and with immediate effect. His fusion of real-life stories and his conversational techniques connect with his audience at an intimate, intense and individual level. The Responsibility Process is a natural pattern in our minds (discovered, documented, and perfected over the last 30 years). It shows how we stay stuck or grow to overcome challenges. It is a potent self-leadership tool for taking ownership. You can put it to use to claim the freedom, choice, and power you deserve. Call me “Mr. Do What Matters”. My day job: I teach people how to do Scrum. What I really do: I inspire people to change their situation for the better. I help companies transform into happier, more successful organizations. I am the creator of The Personal Agility System ™, the simple framework for doing more that matters. 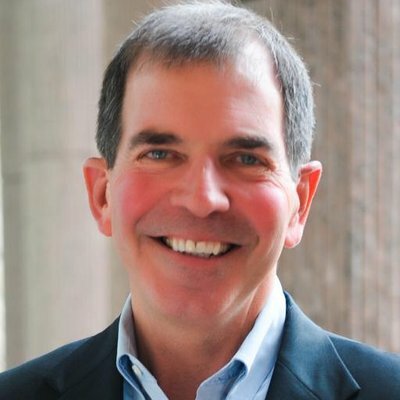 I have unique leadership experiences in corporate America, higher education, and athletics that when combined result in a bold dynamic. I specialize in building and leading teams to exceed goals. I have collaborated with stellar teams from all over the world and have experience in vision casting, servant leadership, public speaking, training and development, project management, change management, team building, human resources, and lean six sigma process improvement. 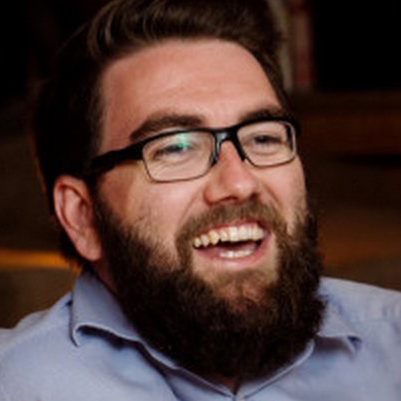 Wednesday 13th March 2019 14:30 - How to be the New Guy and Lead Change in a Team. So, you’re the new person in the team? How do you quickly build rapport? How do you quickly establish credibility? How can you lead effective change for a better tomorrow? 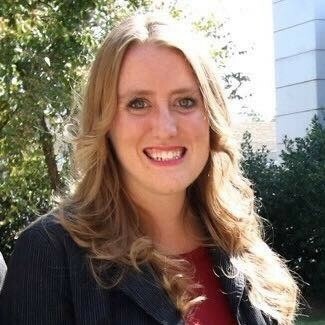 In this high energy chat, Amber Vanderburg discusses practical applications that you can use as the new leader in a team through applied research, case studies, and witty tales as the only female, only American, and only blonde Academy football coach for the PSG Football Academy in Bangalore, India. Working within diverse and international dynamics, Amber will share her experiences along with best practical applications for attendees to effective lead change as the new person. “My only complaint is that my cheeks hurt from laughing too much.” Clownban workshop attendee. Learning should be fun. And so should teaching. Join us for something a little bit different. How do use kanban to build and market test a product? using your own hands and creativity, this highly interactive workshop will see you build and market test a product that is fun for all the family. We will be building and collaborating in a multiple team setting to bring ideas to life, and use customer feedback to test and learn using kanban to bring visualisation and focus across complicated dependencies as we build and deploy an integrated product. This workshop is suited to those who have little to no knowledge of kanban AND for those looking for a fun and new way to teach Kanban. We invite you to participate and plagiarise at will. We will share the pack and train the trainer note to anyone interested following the session. I’m fascinated about potential of human being and find growth and learning key things in business and in my own life. Technical problems can be always solved, but human related issues are challenging ones. Change is interesting and continuous challenge. I think typically lack of process is not reason for failure but rather lack of buy-in from people. Leadership, in addition to vision and goal setting, is a lot about leading feelings and attitudes. 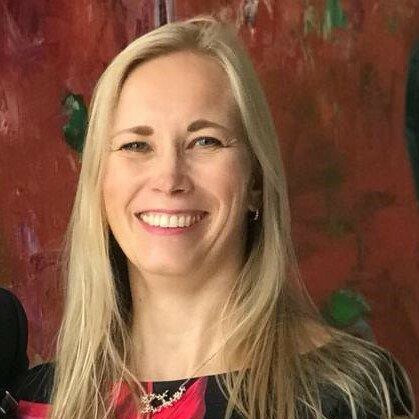 • Several years of experience in different kinds of leadership roles including coaching, of which last 3 years as a head coach in Ericsson R&D Finland. Currently responsible of organizational level coaching and culture development. I have great experience about intensive coaching sessions for groups with excellent feedback. • 10 years of experience working in various project and line management roles. Proven track record of successful work across multidisciplinary teams in a global organization. • Leader with ability to combine very strong result orientation with amazing people skills in a unique way. • Several years of experience as a leadership team member. • Several years experience as a line manager. • 2 years as managing partner at the Entire Oy, company providing holistic wellbeing services. As an entrepreneur and I have gained hands-on experience from all main business management areas including business leadership of an organization, financial planning and controlling, contract management, sales and marketing management including planning and execution of marketing activities as well as entire HR management of company employees and contractors. Workshop Wednesday 13th March 2019 10:45 - How to get results out of self-compassion? You thought that self-compassion is lame? What if it is actually key for better results? Thanks to Google everyone knows the importance of the psychological safety in team performance. We wanted to understand how you build it. The results of the research done at Ericsson Finland in co-operation with Hanken School of Economics, University of Helsinki and Stanford University reveals one important ingredient. It all starts from oneself. It starts from your ability to self-compassion. Self-compassion meaning ability to listen and connect to your own feelings and needs, being kind and caring towards yourself and understanding yourself in hard moments. The research done at Ericsson Finland R&D shows that self-compassion relates to higher levels of experienced psychological safety, team trust and especially team authenticity. Same research also reveals how mindfulness impacts on opportunity recognition, proactive behavior and autonomous choice. These all together create conditions for the optimal atmosphere for learning and collaboration, enabling high-performance. Self-compassion can be best learned through practising; thus, we want to focus on self-compassion exercises and cases on this workshop. – Several years of experience in coaching, facilitation, organizational culture development and agile transformation. Lot of experience in developing and running 48 h intensive coaching sessions, and team building sessions for different kind of teams (mainly cross-functional development teams and leadership teams). Planning and running events and trainings (workshops, retrospectives, Hackatons, Learnathons, Agile, Scrum, Lean, Kanban, feedback, Non-Violent Communication). Mark is a Partner and the Founder of Teal Mavericks, a company focused on helping people find creative ways to reimagine the way the work. 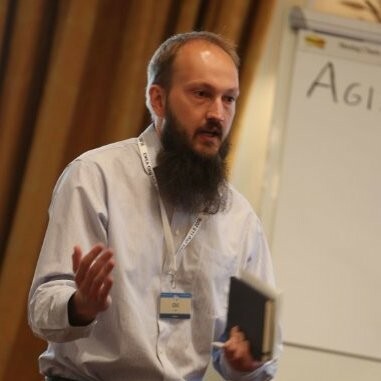 An Agile advocate since 2009, Mark has made it his mission to inject the values and principles of Agile into everything he does. 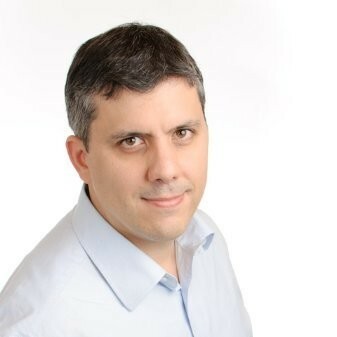 His deep knowledge in Agile and team dynamics stem from his diverse experience supporting transformation and value delivery as an Agile Coach, Scrum Master, and Product Owner across several different industries, including Manufacturing, eCommerce, Big Data, and FinTech. 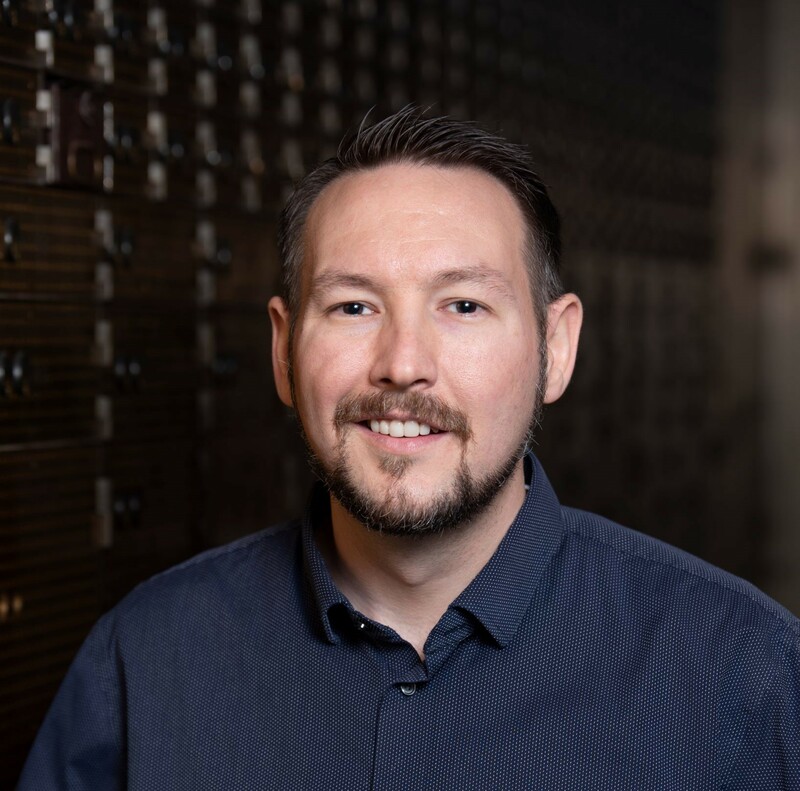 When not heads down in the latest book on Self-Management or deep in conversation with a team, Mark can be found reading one of his favorite sci-fi novels (specifically anything by Brandon Sanderson) or playing with Legos (sometimes with his kids). It’s the year 2025 and our long-time CEO has just made his last decision. Earlier today our CEO announced that with support of the Board of Directors, we will be eliminating our management hierarchy and departmental structure to better distribute decision making and promote self-management. A company of 100,000 people distributed around the world with revenues of $10 billion annually, this change has already sparked many important questions such as “how does this effect the way I work today?” The CEO has asked us, a group of employees representing all aspects of the company, to come up with a plan to implement his final mandate within 90 days. Now we must figure out what this means for us, our customers, and ultimately the future of our company. This is no ordinary workshop. No PowerPoint presentation. No talk. Rather, this will be an experimental storytelling game. Taking a highly possible situation, we’ll experiment with how it might play out in the real world. Working in groups, you’ll be given complex problems to solve, such as how do we support employees who don’t want to participate in the change, what happens to those in management roles, and how do we make sure customers don’t get forgotten throughout the change. Groups will collaborate during the session to paint the picture of what such a transition might look like, including the actions we could take to make the transition smoother. Join me as we reimagine the future of work by playing with it first. Many of us associate the word “Anarchy” with conditions like lawlessness and disorder. If you were to look in the dictionary you’d see a definition that might surprise you…“a society of individuals who enjoy complete freedom without government.” Once a beacon for autonomy and creativity within the software development community, the Agile movement has fallen prey to standardization, monetization and bureaucracy. Many in the community believe that this distortion of Agile has resulted from one specific variable; the negative influence of management. In response, developers around the world are looking to reclaim their Agile with the introduction of the Developer Anarchy movement; enabling complete freedom by eliminating the role of management entirely. During this interactive session we will explore the emergence of the Developer Anarchy movement and why removing the influence of management can unlock true agility in software development. We will explore the connection between Developer Anarchy and Self-Management Theory, including concepts such as Holocracy and Sociocracy, showing how these ideas are fueling a new way people are organizing around work. Examining several real-world examples from companies like eBay, Zappos, and Valve Software, we will experiment with some tactical changes that can be implemented right away to drive more autonomy within your organization. So if your Agile transformation doesn’t feel like it’s changing the way you work, maybe it’s time to insight a little anarchy! 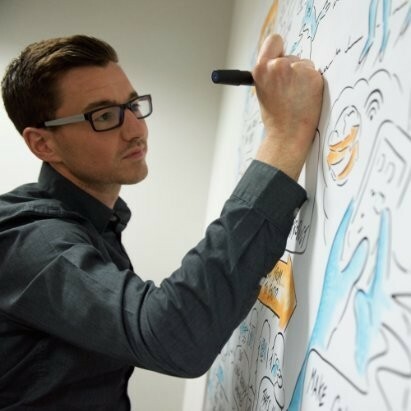 I am a professional Business Visualiser with extensive traditional/ Agile Project management experience and a deep-rooted appreciation for Design Thinking and Agile Principles/ Methodologies. Over time I have become accustomed to Agile and Design Thinking ways of working, becoming a Certified Scrum Practitioner, DSDM Agile Analyst, Lean, Kanban Practitioner and SPC4 consultant. With international notoriety within the Agile Community and beyond I have provided business visualisation at multiple Global events. By creating a visual information radiator I translate concepts and processes into engaging visuals with the intention of simplifying complexity and accelerating learning. I contribute to team and organisational visioning and planning events by offering captivating visuals that crystallise ideas, cultivate learning and drive innovation. Key insights can then be transformed into illustrated storyboards to enable organisations to visualise the work, explore business/ product possibilities and align people with the business direction. I facilitate a suite of Design and Innovation courses/ labs that catalyse customer centric creativity and innovation, harbouring Design Thinking/ Service Design practices and supporting individuals in gaining the confidence to visualise and innovate effectively. The newly gained skills assist teams to solve problems and map ideas with the use of Design Thinking tools and visualisation techniques. I joined Radtac in 2015 where I continue to assist individuals, teams and organisations with an array of Innovation and visualisation services. Agility alone will not lead your organisation to success or encourage people to embrace change! Poor communication is a leading contributor to project and product failure so let’s start with the simple stuff. Visual storytelling is an essential tool for inspiring stakeholders, enhancing communication and gaining a greater understanding of user needs. Research shows that 90% of information transmitted to the brain is visual so isn’t it time you opted for a simpler and quicker way to tell a compelling business story in a way that will stick? During this talk I will give examples of how visualisation techniques such as storyboarding can play a significant role in accelerating learning, solving problems and generating ideas at scale. I will explore the use of visual storytelling within the context of Agile and Human Centred Design. 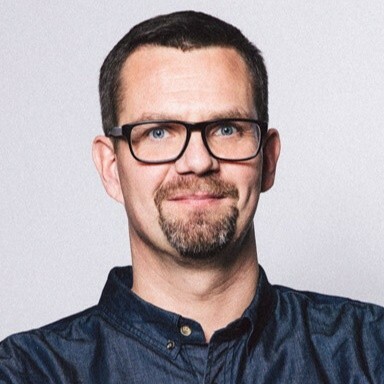 Sami Paju (BBA, MSc) is a certified LEGO Serious Play facilitator, lean change agent, and an expert in innovation management and organisation design. 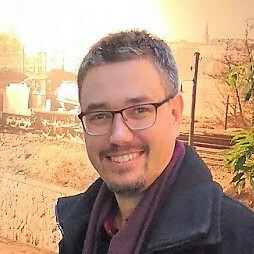 He is the co-author of Experimentation Manual (“Kehitä Kokeillen” in Finnish), and a contributing author in a 2015 compilation on self-directedness (“Itseohjautuvuus: miten organisoitua tulevaisuudessa?” in Finnish). The traditional way of seeing organisations as mechanistic systems is incomplete and insufficient in the modern, rapidly changing and complex environment. In order to survive and thrive, organisations should be approached as living and continuously adapting systems. Sami’s main focus areas are lean and agile organisation development, change management, and smart work habits, tools and techniques in modern high-intensity knowledge work. According to research, psychological safety has been identified as the number one key ingredient of high performing teams. We all know its importance, but how do you actually go on about creating it? We can all imagine how tension and fear erode trust and the team becomes less than the sum of its parts. Often this happens by accident. Likewise we tend to think that psychological safety is also accidental. But it can be created, and it can be cultivated. This is a hands-on workshop where we practise how everyone can contribute to building affect-based trust and psychological safety. How to bring your real self to the office and encourage others to do the same. It should come as no surprise that emotions play a big role in this workshop, but as with so many truly meaningful things, some discomfort is required. So leave your masks at the door and join us in becoming a bit better versions of yourselves! Positive personality with a loud laughter, passionate about developing learning organizations and creating and nurturing a space and culture where teams and organizations flourish. Expertise in facilitation skills, team learning methods and team coaching. At Filosofian Akatemia, we help organizations to transform their culture towards self-organization, to lead intrinsic motivation and perform better. We actively design the future of work and leadership with our clients. Successful organizations continuously learn and develop. It all comes down to individuals and teams that trust, learn, share their knowledge, have the courage to try, to fail and aim as high as they can. However, those individuals and teams need to be supported with proper leadership and functional structures provided by the organization. I am a solution-focused coach and work counselor. Practitioner of Art of Hosting – harvesting conversations that matter. 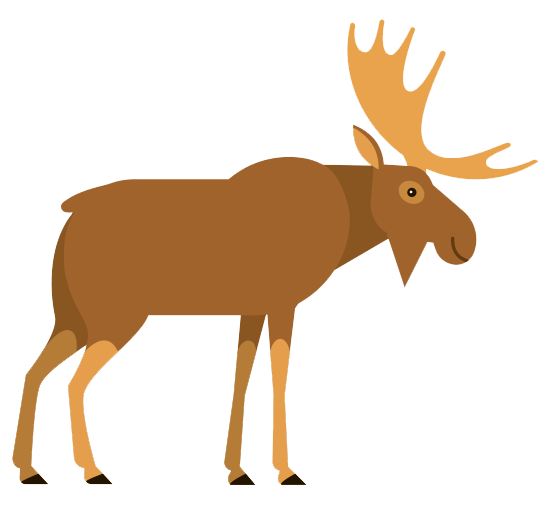 Member of Finnish Association of Facilitators. I also have strong background in the tourism industry. Developing organisations, teams and individuals to create successful services and business. Solid background in different roles in software and service development during the past 15 years has taught me a lot. Especially grit. What do you do when teams in your organisation are agile, but the organisation itself is not? In this talk we’ll discuss some practical approaches to guiding your organisation towards a more agile and customer-centred future. Applying an agile mindset and principles will help you create better products and service, and win the war for talent. Thursday 14th of March 14:30 - Dammit, get together and get the job done! After organisations adopt Agile, they start facing new challenges related to running agile projects and coordinating multiple agile teams. Even if mechanisms to coordinate agile teams are in place, organisations face problems and bottlenecks that can’t be resolved by Scrum of Scrums or similar practices. In our presentation we will share how we have successfully addressed this issue. We evolved our co-working practices in special events several times during development projects. Our ideas were based on the principles described in the Agile Manifesto and the hackathon events. The audience will learn that agile principles can be applied to other areas than just software development; how to have an effective cross-team co-working event with selected representatives of the teams in order to deliver more value in shorter time; they will learn a useful tool for their agile scrum master’s/facilitator’s/project manager’s toolbox with do’s and dont’s. In agile cross-functional environments, classic top-down leadership is being replaced by new decision-making and leadership models. In most cases, the leadership is handed over to the team member who is considered an expert in the area affected by the decision. Since there are no “Vorgesetzte” in this structure (German word for supervisor. Literally translated: Someone who has been placed in front of you), no team member can withdraw to a (hierarchical) position or refer to it. All are equal. Although the teams work autonomously and self-organized and are all equally responsible for achieving the common goals, it can be observed that in most cases the measures and analysis of outcomes is driven by one person in the team. However, this can lead to ambiguities and misunderstandings within the team: There is an asymmetry of information regarding the goals to be achieved and the status of goal achievement. Especially in agile networks, however, there must be a direction which everyone is heading to. OKRs help here to a certain extent, since an alignment in the team is created by defining and communicating the objectives and key results together. However, the more comprehensively a topic is developed, the more detailed questions arise to which OKRs cannot provide answers. As a framework for goal management, they are located at a completely different flight level than implementation details. In order to achieve the objectives, however, decisions must also be made on a daily basis at the implementation level. But who takes the lead? Lateral leadership is needed to ensure that the entire team focuses on the same goal. Every expert must be able to captivate the colleagues thematically and convince them. Pure specialist knowledge is not enough for this. Leadership without authority places high demands on the individual soft skills of all team members: empathy, communication and conflict skills. In order to be able to discuss a decision openly without dictating, strong and mutual trust is required. In my talk I will show why OKRs and Lateral Leadership can be practiced independently of each other, but only together unleash their full power. – Facilitated accelerator programs generating tens of validated ideas for global companies and helped their “Growth Boards” to act as internal investors. – Coached GE FastWorks (Lean Startup) projects that generated new business for the company. – Coached scaling of GE HealthCloud from 1 team to 40 teams in 6 countries and delivering to market. This enabled the business to reach out for 30 BUSD market. – Coached multiple GEHC programs to improve release cadence. – Helped GEHC Budapest to establish a value stream based management structures for faster decision making. – My company Huitale implemented first continuous delivery in Finland (2007). Capability included a way of developing new features from idea to production in 8 days, releasing multiple times a day and real-time business analytics. Many organisations have scaled up their agile development effort. While they may have reached improvements in time-to-market and software quality they still struggle in ensuring they are building the right things and driving decisions based on data, especially at scale. 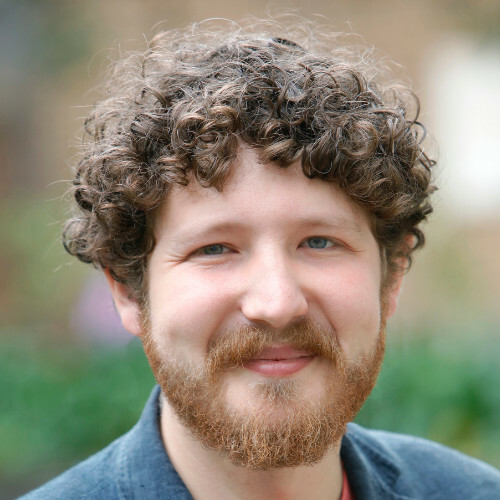 In this session Marko will walk us through the principles and a case example(s) how these benefits have been reached in large organisations. Wednesday 13th March 2019 10:45 - Get in the Flow! Fundamental principles in digital product development are easy to understand. Limiting work-in-progress, creating fast feedback loops, removing waste – these are written all over motivational powerpoints in Agile transformation kickoffs. But easier said than done, how come these good things are forgotten when reality hits the fan? This workshop introduces three fast but powerful simulation games that can be used in meetings or workshops to illustrate what are the foundations for effective organisation. Participants will do and learn these activities and run them in their teams. 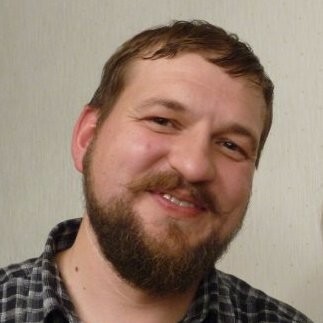 For many years Andrey was concentrating on testing and test management, and then on agile management, always staying close to technology. Currently Andrey is working at F-Secure as Technical Product Manager facilitating development of F-Secure SENSE – a secure router for your home. As a tester I’m constantly looking for ways to grow and learn; whether that be through taking courses, reading blogs or bouncing ideas off people I look up to in the field. 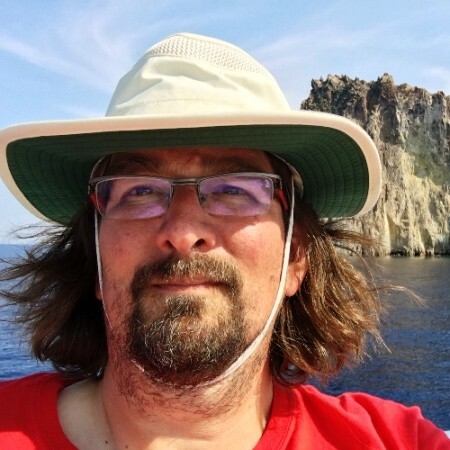 In the past, I have worked on projects in the following industries: Trade, Education, online and card payments, Retail and e-Commerce and have worked in Agile (Scrum, Kanban), Continuous Delivery and Waterfall environments. 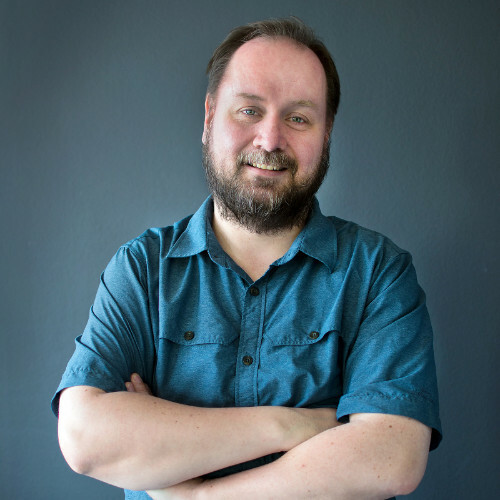 I was the founder of the Stockholm Software Testing Talks meet-up and a co-founder of the WeTest Auckland testing meet-up. I was also a co-instructor for the BBST Foundations course. supported clubs in Skåne and half of Denmark). Recently I have decided to delve into the world of speaking at conferences. I have given talks at TestBash Brighton 2016, Let’s Test 2016, EuroSTAR 2016, TestBash Belfast 2017, Romanian Testing Conference 2017 and Øredev 2017. Bringing in change into a project or an organisation when you don’t have a leadership job title, which people usually respond to, can be difficult. You may find that people respond to titles and unsurprisingly, aren’t excited about change – even when it can make their lives easier. But initially, they don’t know that. I’d like to share my experiences on bringing in change to a project, where my title was only “Agile Tester”. But after a few months, I started to make change happen, first by getting people in my team to stop doing test cases, and start trying out Structured Exploratory Testing, second by delivering workshops so people can learn new skills and encouraging others to deliver workshops and lastly, by helping create an atmosphere of open dialogue where ideas and people’s opinions are heard and acknowledged. No fancy job title needed. By the end of this talk, I hope to encourage you, to take action towards making things better on your project. You don’t need to be a manager or someone with a fancy title to make things better in your project. YOU can make it happen. Visualisation and Information Radiators, to improve situational awareness. Most companies claiming to, or wanting to, be agile, start at the team level. Often this involves adopting a model or framework that either only has those parts, or ignoring the Program and Stategy level changes. At best this inspires a change journey, but more often this yields little impact on the core business metrics. Seasoned Leader of Product Management, IT software development and Digital Servicing. 20+ years of experience leading global teams responsible for Large Program transformation specializing in Financial Services, Commercial and B2B services. Significant experience with business transformation and scaled agile practices. Developed customer-centric solutions, and large global programs of change. Led teams of product managers, IT Directors, engineers, Business and Technical architects, Project Managers and analysts responsible for all aspects of product development from concept to realization across global lines of business. I’m pretty adept at quickly finding the core problem, coming up with ideas and then collaborating with others to figure out a way forward. I’m a change agent who believes in authenticity and getting things done. Thursday 14th of March 14:30 - Are you ready for the third wave? Organizations are striving to use Agile to unlock customer value and competitive advantage all over the world. While scaling frameworks and adoption of Agile practices are important, on their own they are not enough. In order to become Agile as a business, you must look beyond these to the next wave of agility. SolutionsIQ has been working in the Agile transformation business for over 20 years. Hear how we’ve helped our clients outlearn their competition by looking at all the elements of their business environment and unifying them into a single holistic transformation, and then guiding them along a proven path to successful outcomes. 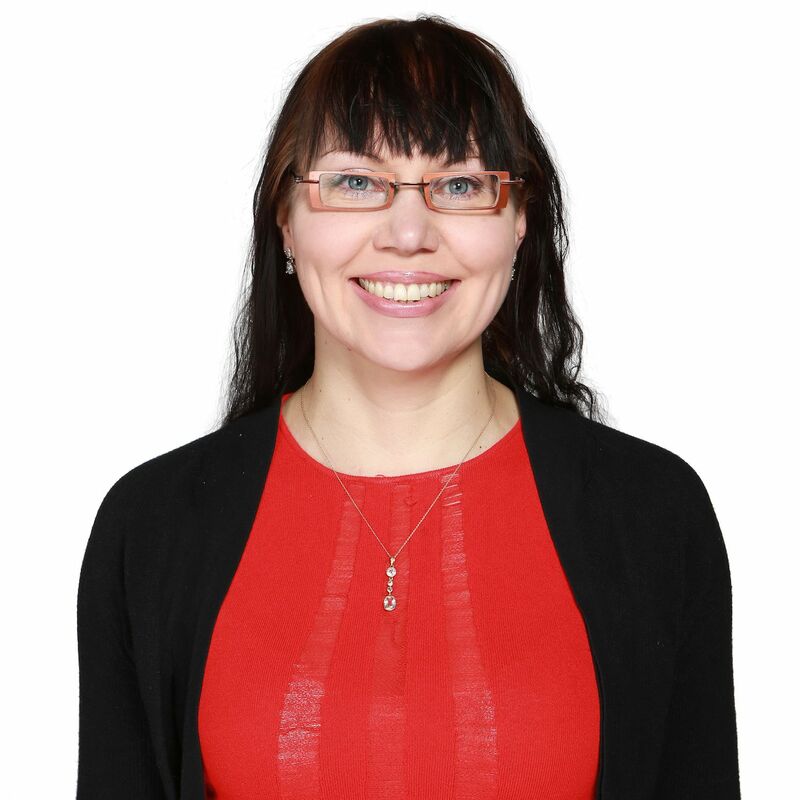 Kristīne Corbus is a software quality evangelist, meet-up founder, conference organiser, speaker, trainer and coach. Other words, she is seeker and shape shifter. Living between two countries, languages and cultures, she is used to continuous improvement and feels like home with change and transition topics in tech. 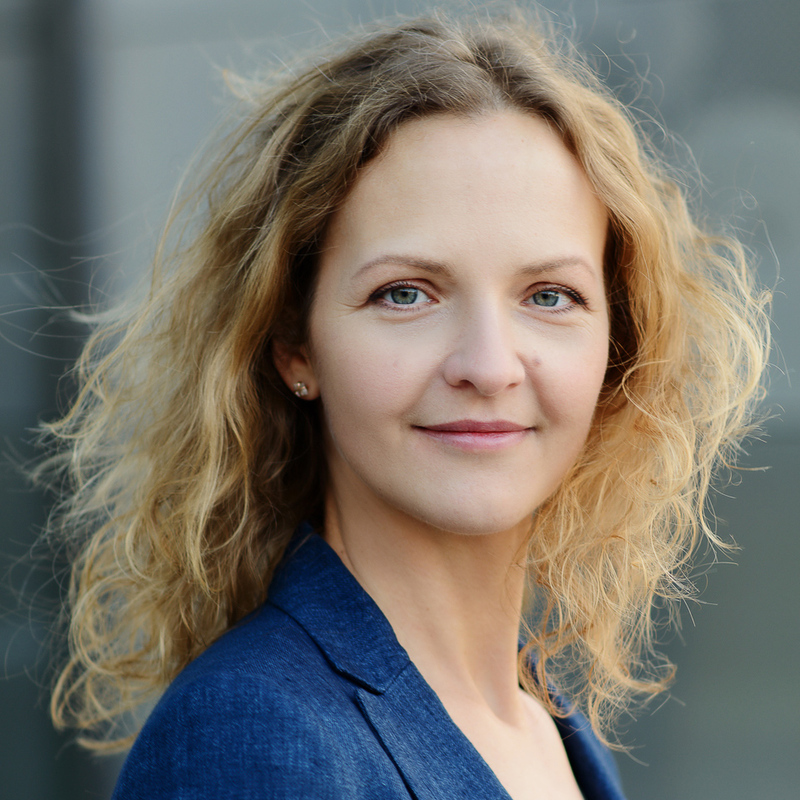 Kristine loves to explain software quality and testing to developers and business people. 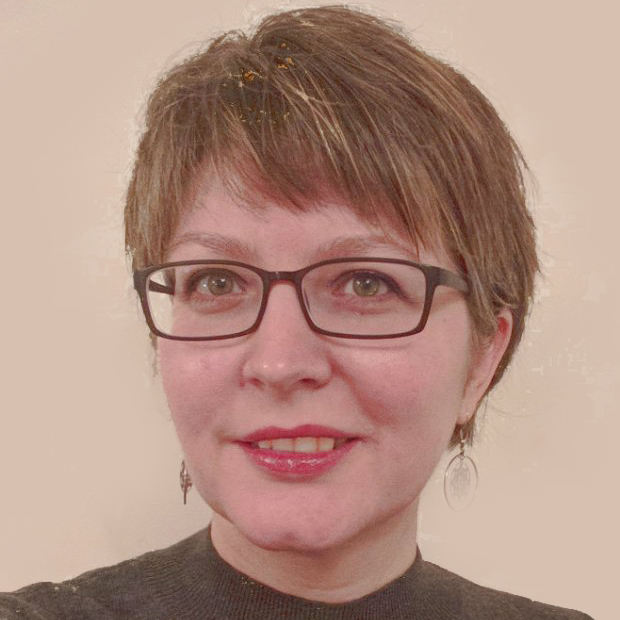 She coaches software testers and QA engineers to think long term and business-oriented. 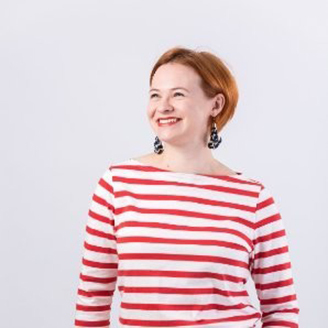 Before becoming a trainer, Kristīne worked as a software tester and QA manager in several start-ups and digital agency. Building and managing teams, creating QA processes and defining test strategies. Her professional profiles you can find here: Xing, LinkedIn. Since 2015 Kristīne runs tester meet-ups hold in Jena, Halle and Leipzig, Germany. She was the organiser of Ministry Of Testing first TestBash 2017 conference in Munich, Germany. What to build first? We ask this question when we configure both a brand new product or a new set of functionality in an existing one. How to define what is in and what is out? How not to miss something important? How to leave emotions and company politics out of MVP equation? And how to go from the vision to the release plan? Goal-oriented MVP is a methodology that joins principles of lean business model, human-oriented design and agile development. It covers the whole process step by step: from initial vision all the way to mockups and detailed plan of the first release. The approach we suggest is elegant, scientific and proven by practice. It ensures that the release is really minimal, but at the same time complete and helps to solve user problems and reach business goals. What we suggest is not a strict framework, but a set of flexible techniques that are applicable in different projects with different stakeholders and team composition. We focus on team collaboration but we do not try to make everyone a designer. Instead we show how to include different people at the right time so that we are building a product together, but still everyone is doing their own job. How to proceed from the overall vision all the way to well structured Agile sprints. 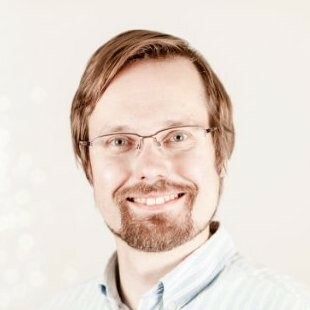 Building software development teams from ground up has been Arvid´s main specialty for more than ten years. His task is to assemble the technologies that are suitable for a particular business problem and then find the right set of people and skills for them. He has done this for clients in hugely diverse domains and also for several companies where he was a co-founder. Work on all these projects have revealed the same problem: traditional tools and artefacts are not very suitable to establish efficient communication in team that try to work lean way. It is a new process that is needed, the process that ties all the stakeholders and developers closer together – from the CEO to the QA. Arvid is working on creating this process and teaching the teams to sustain and evolve it. My only complaint is that my cheeks hurt from laughing too much.” Clownban workshop attendee. One approach to this that I have been a part of at Agile Company Culture Accelerator at Yle, as well as other companies, is creating coaching curriculums to grow leaders and change agents to enact and catalyze the change itself. I help organisations improve performance. This large umbrella covers organisations of all shapes and sizes that want to understand their surroundings, set higher sights and to follow through in implementation. Over the past dozen years I have helped organisations in finance, gaming, insurance, media, government, education, energy, telecom, IT, professional services and IT. First rule of Agile club is we do not talk about Agile. If you want to influence major business decisions, you have to speak in the language of money. Understanding your competitive landscape and internal context. Formulating and executing strategy. – Critical issues of strategy execution: competencies, compensation, processes, and organisational structure. Understanding principles to evolve local practices. Can you predict which teams will work well together? What can we learn from looking at well functioning teams? A completely experience-based, totally non-scientific approach to great teams! 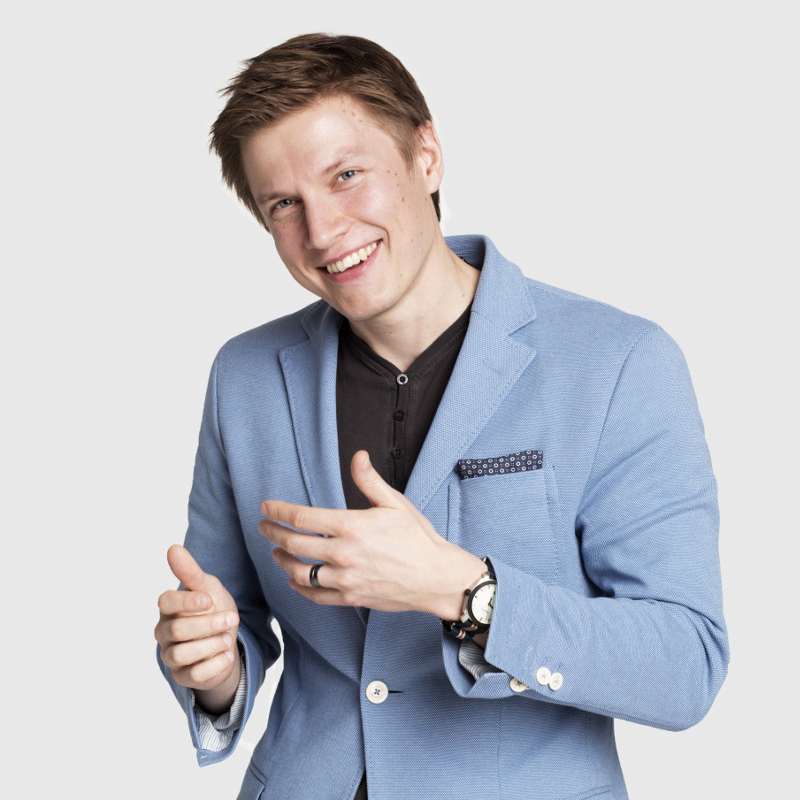 Juha is an agile coach and trainer. 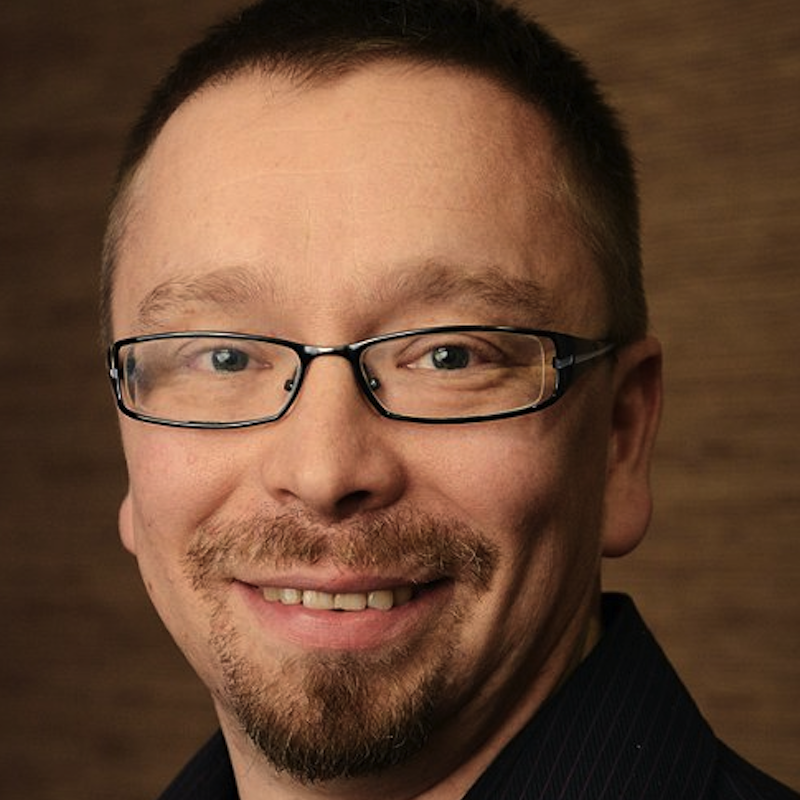 He has been working as a internal coach for a medium sized software company during agile transformation. He has been coaching the management and over ten teams. Learn three basic retrospectives to spice up your retros. We will cover speed dating, three little pigs and one method for futurospective. All of these methods are excellent and suited for different kind of situations. Lean-Agile consultant and coach with passion for creating compelling value propositions and customer experiences with Design Thinking. Over 20 years of experience leading service creation with a proven track record over a period of 10 years using lean and agile methodologies. Inspired by increasing the meaningfulness of people’s activities by learning new things and reXning methods of operation with Lean-Agile mindset. Wednesday 14th of March 10:45 - Do you know which high value customer jobs you should focus on? A study from 2016 by Simon Kucher & Partners found that 72% of new products and services introduced to the market fail to deliver on expectations. When you create new value propositions, you need to focus on high-value customer jobs. The Value Proposition Canvas helps you design products and services that customers really want because it enables you to focus on what matters most to them. In this 2-hour workshop we will walk through the theory of focusing on the job to be done, examine how to avoid common mistakes when using the Value Proposition Canvas, and explore the validation of your business idea with customer experiments using the Test Card before scaling them. The workshop trainers are Strategyzer Masterclass certified. An organizer with a solid Agile background and a toolbox for getting people, software, and projects from A to B. Specialties: Getting stuff done and the elusive large-scale Agile. 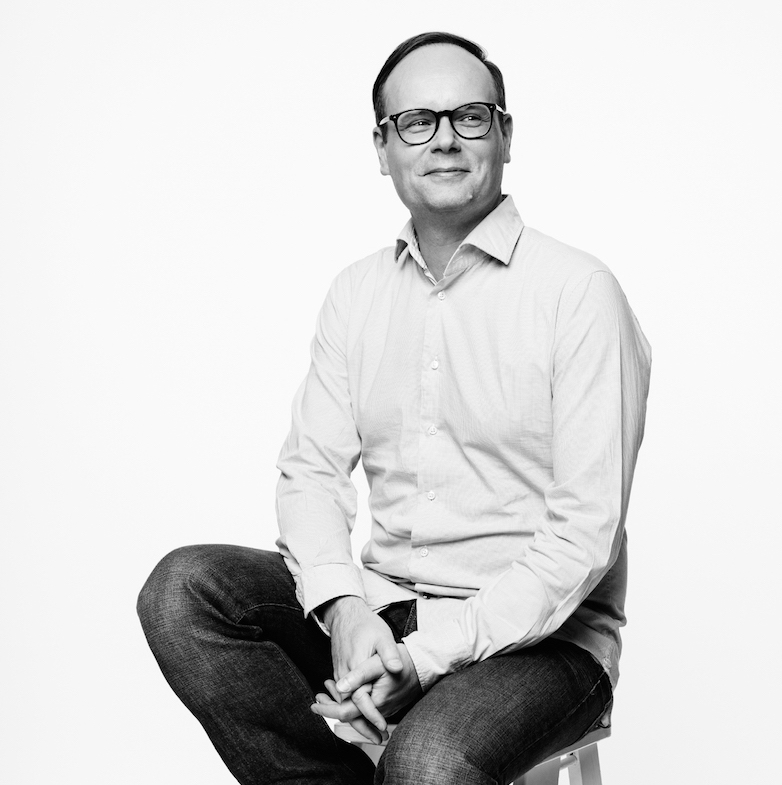 As a consultant at McKinsey & Company now for 12 years, Olli has worked with multiple global companies undergoing large transformations. 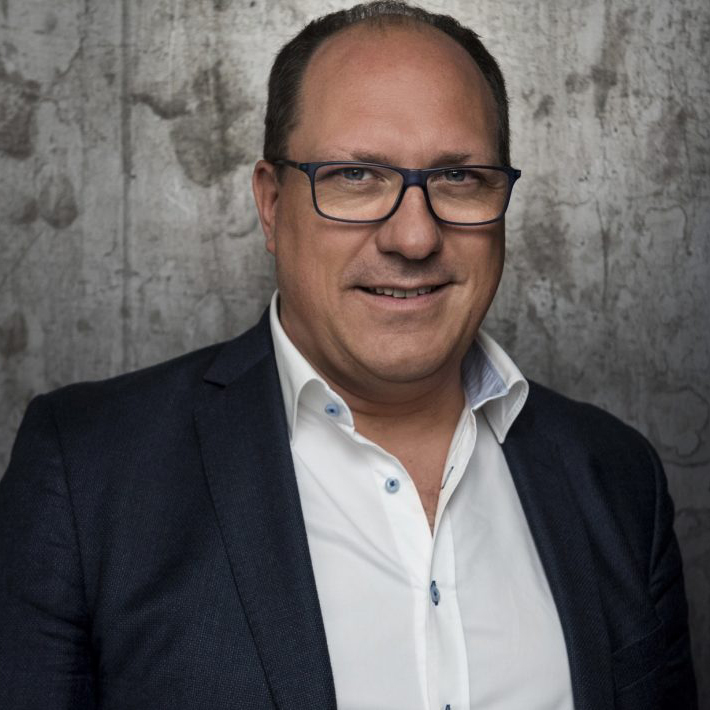 In the past six years he has been focussing exclusively on Enterprise-wide Agility, helping banks, telcos, retailers, mining companies in Europe, Africa, Australia and New Zealand radically transform their operating model across business and IT. 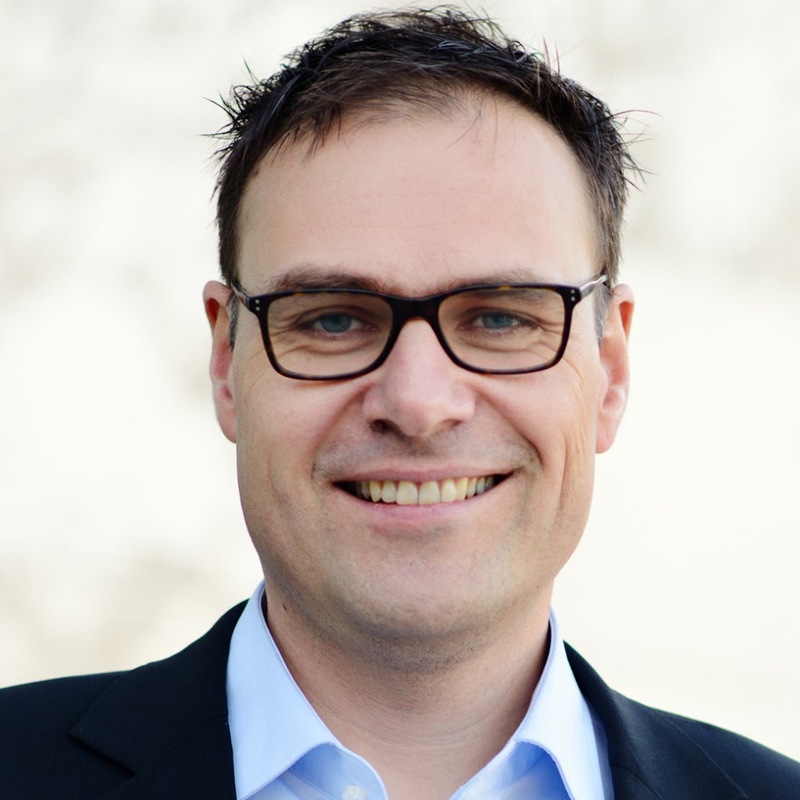 In addition to client work, Olli has published multiple articles on Organizational Agility and led the global knowledge codification on Agile within McKinsey. Your Agile IT teams complain how the rest of the business is too slow and bureaucratic. And the business side sees the IT teams as fast, but not really focussing on customer value. Sounds familiar? In my presentation I will share examples of large (5000+ employees) companies that have moved beyond Agile in IT to Enterprise Agile. These companies apply agility and self-management across the whole organization: combined BizDevOps squads for customer journeys and products, self-managing teams in contact centres, flow-to-work pools in support functions, squads in B2B sales and service, retail shops without managers and so on. Also in focus is the “stable backbone” needed to support these teams – how these companies transformed their governance, budgeting, people model, culture etc. to enable agile at scale. Key questions answered – How to apply agile in different parts of the business? – How to transform a large traditional company into agile across structure, processes, people & culture and technology? – How does the journey look like in practice? Cases include Spark New Zealand (telco), a large Australian bank, another large telco and numerous other companies on the journey.